Athleisure is here to stay, and we couldn’t be happier. Lounging the day away in comfy pants and sneakers? Yes, please! This level of cozy, however, can make it a little too easy to let your athletic-inspired look slip from laid-back to sloppy. Fortunately, we’ve got you covered with tips for looking chic and polished while rocking your favorite casual pieces from dawn ‘til dinner. Here’s how to wear athleisure without looking messy! Wearing all-over loose clothing might be crazy comfortable, but it can also make you look like you just rolled out of bed. When you’re wearing loose-fitting bottoms, like your favorite joggers, balance their volume with a fitted graphic tee. If your tees are more relaxed, add a quick front-tuck to create structure. Conversely, style an oversized sweater with fitted leggings to look laid-back yet put-together. Athleisure pieces are typically constructed with super soft knit fabrics, like modal, brushed cotton or stretchy Spandex. To take your lazy day outfit from lounging to lunch out, add a wildcard piece in an elevated texture. Slip a crisp denim jacket over your joggers and a long-sleeved tee for extra structure, or layer with a leather moto jacket for a luxe, edgy twist. Stylist Tip: A silky tunic steps up your favorite black leggings; just add a skinny belt to define your waist. 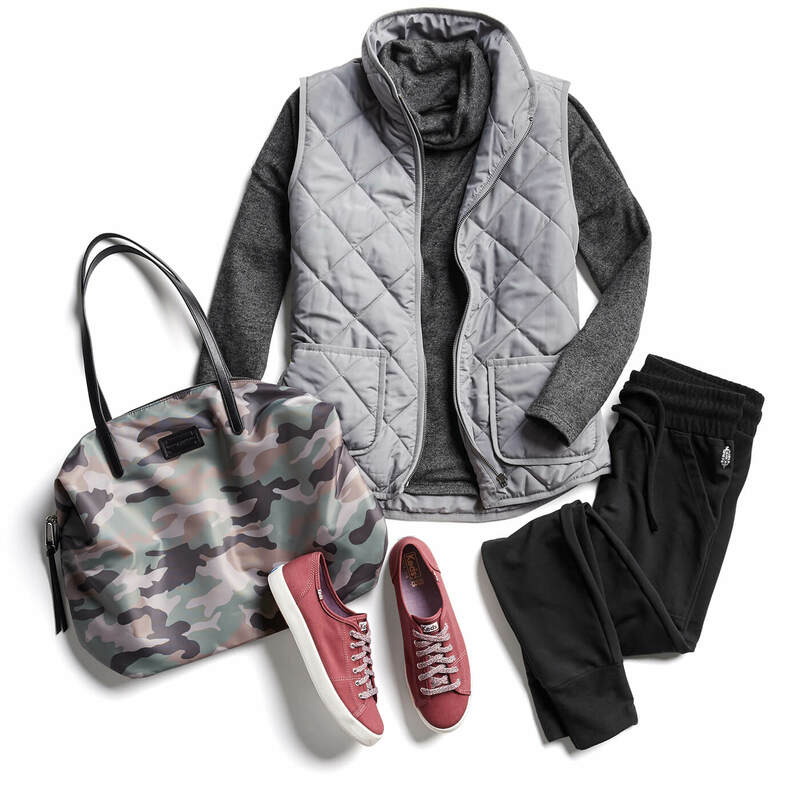 You don’t have to go head-to-toe locker room chic to rock the athleisure trend. 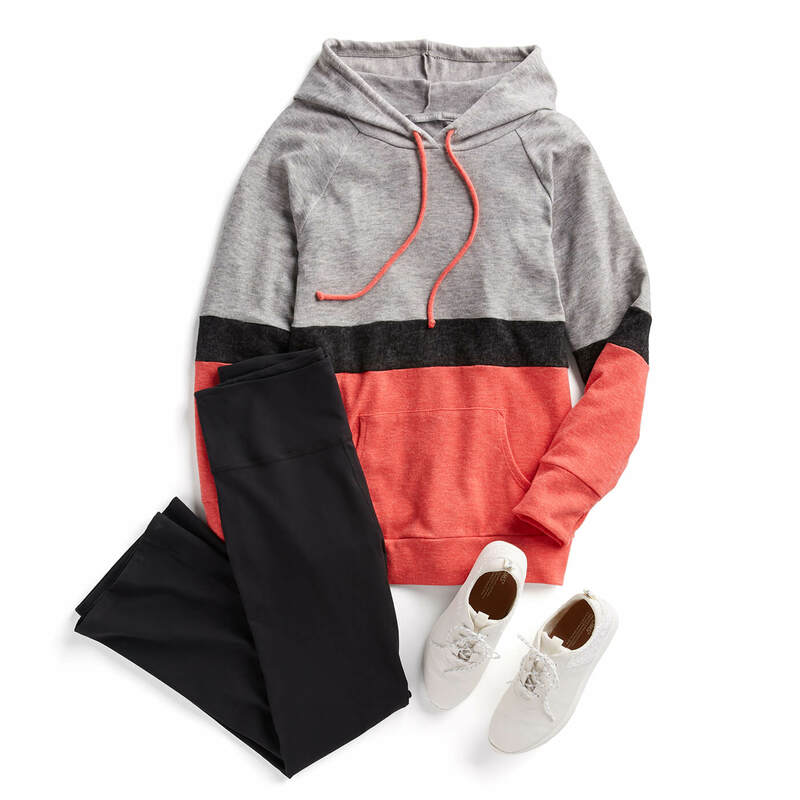 Mix athletic essentials, like performance leggings, with wardrobe staples, like a chunky sweater, to create a balanced look that feels modern. For example, keep your casual vibe from devolving into disheveled by styling a comfy fleece hoodie with dark wash skinny jeans and ankle booties. Sneakers are an athleisure go-to, but unless you’re heading to the gym, your worn-in kicks won’t cut it. Seek out fashion sneakers, and make sure they’re in pristine condition to keep your look fresh. Your options are endless; today’s hottest sneaker trends include slip-on canvas styles, metallics, unique textures, interesting prints and wedge soles. Stylist Tip: Wearing leggings? Try tucking them into riding boots for a streamlined look, or pair them with ballet flats to look polished yet effortless. Curate your accessories carefully to finish off your athleisure-inspired look. Drop earrings or on-trend ear climbers enhance an activewear ensemble; this added sparkle makes it clear you’re not on your way to a sweat session. A cool cuff bracelet or a sleek leather clutch can also do wonders to upgrade your athletic aesthetic. Eager to master the art of looking relaxed yet refined? 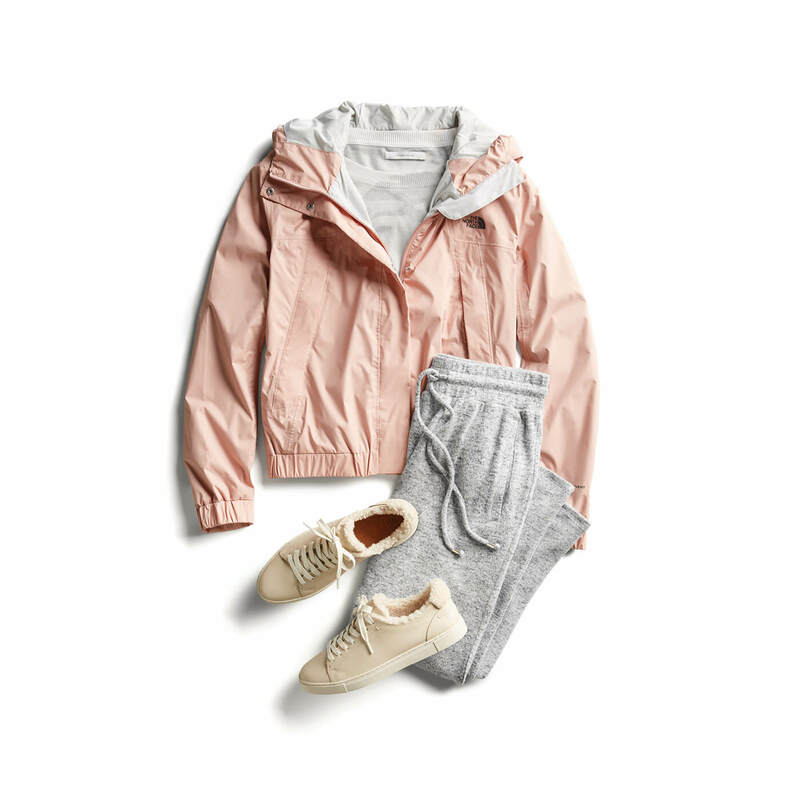 Ask your Stylist to add athleisure styles to your next Fix!